You can use 6 natural hair care methods below for your hair right at home. Eggs, yogurt and honey are the ingredients most likely to be available in your kitchen. Here we do not talk about using it for breakfast. They are one of the ingredients used to care for your skin as well as your hair care, simple, low cost and especially safe. Not only that, there are many other products to take care of your hair in your kitchen, so let’s see. According to Janice Cox, author of “Natural Beauty at Home,” said, “Eggs are really a raw material for hair.” Egg yolks are rich in fats and proteins, a natural moisturizer, egg while whites contain antibacterial enzymes, which remove unwanted oils from the hair. That’s why egg is the first hair care methods we suggest in this list. You can use the whole egg for beauty. With egg yolk, it helps moisturize the hair, preventing breakage and egg white support oil hair treatment. Use a mixture of eggs to help you cleanse and moisturize your hair, leave for 20 minutes then rinse with cold water and wash your hair as usual. If using egg mixture or raw egg yolk only apply once a month; Egg whites only apply every 2 weeks. Use to much hair styling products such as gel make the hair dry and dull, not healthy and shiny. Take a yogurt product, you will overcome this disadvantage: “Lactic acid gently removes dirt on the hair and fat in yogurt to moisturize”. 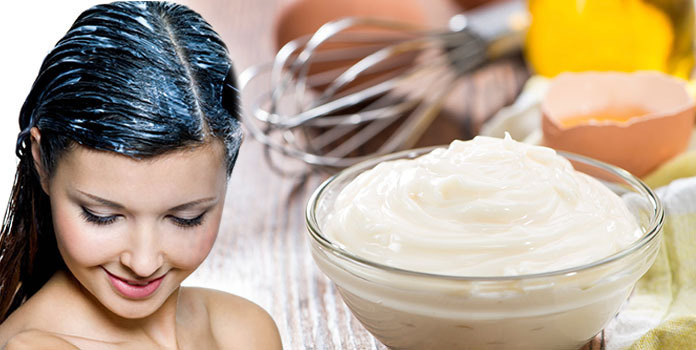 Massage 1/2 cup sour cream or yogurt into moistened hair and leave for 20 minutes. Rinse with warm water, then cold water, finally wash your hair as usual. Apply once a week. 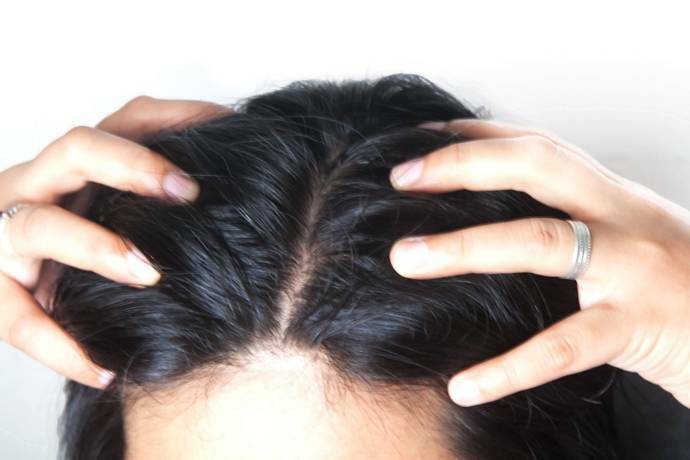 You may have dandruff caused by itchy scalp due to diet, stress or climate and other factors. Try a mixture of lemon juice and olive oil on your hair. “The acids in lemon juice help remove the dander on your scalp, while olive oil nourishes the scalp. It is very easy for you to find some lemon on your kitchen and apply this hair care methods to your hair. Mix 2 tablespoons fresh lemon juice, 2 tablespoons olive oil and 2 tablespoons water, then massage the resulting mixture with damp scalp, let stand for 20 minutes, then rinse and wash. As usual, apply weekly. Lemon and Olive oil – Have you ever think about combining it? To make your hair more healthy, shiny and soft, you can use with a familiar drink: beer! This fermented beverage is a generous source of yeast, making the hair thick and healthy. Mix 1/2 cup beer (pour the beer out and leave for a few hours to let out carbon dioxide) with 1 teaspoon sunflower oil or canola oil and a raw egg. Apply on your hair, let the hair moist and keep for 15 minutes, then rinse with cold water. Or you can put the beer in a spray bottle and spray it on your hair, when the liquid evaporates, the amount of protein will continue to strengthen and improve the structure of the hair. Treatment support methods can be applied weekly. If your hair is dry, or due to exposure to the sun, the hair will become dry; So try applying honey to your hair, this is a great natural moisturizer. Massage about 1/2 cup of honey on the cleansed hair and let it stand for 20 minutes, then rinse with warm water. You can also add 1-2 tablespoons of olive oil to the honey. With sun-damaged hair and damaged hair, adding in honey some rich protein ingredients such as butter or egg yolk, will help replenish the amount of protein required for hair against UV rays. Apply once a month. 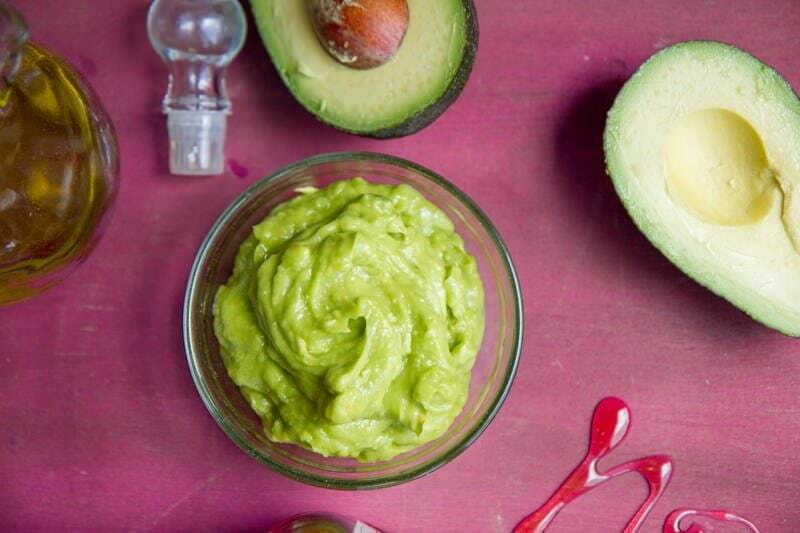 Avocado has been proven by many beauty experts to be effective in treating damaged hair, oils and proteins in avocados, combining nutrients to soften hair and repair damage. Decorticate half of avocado and massage with wet hair. After 15 minutes, rinse with warm water. If you want to get better, add 1-2 tablespoons of a moisturizer such as sour cream, egg yolks or mayonnaise. Apply every two weeks. 6 haircare methods above is very useful, it is proved by many women that love their hair. If you want your hair soft, silk, shinning and beautiful, please visit Vietnam Remy Hair Blog every day to get latest post. Just click on the Hair Care categorized or visit our website to get best advices from our expert. Thank you! Today Vietnamese Remy Hair Blog will bring to you a safe way to dye your hair, and this method even good for your hair health. With the ingredients available in your home, you can dye hair without going to salon but still make your hair beautiful. It maybe not have fast effect as when you using anilin but it good for your hair. You will never have to worry about bad result but still be comfortable showing your own personality. The carrot mixture will help the women dye hair with chestnut color as desired. The mixture of carrots, honey, yogurt will be a very safe dye that works for your hair. You only need to prepare: 3 carrots, 2 tablespoons of honey, 3 tablespoons of yogurt, 1/2 cup of blueberries (may not be needed). Grate carrots, then add blueberries and yogurt, honey. Wash your hair and keep it on your hair for 20 minutes. Then wash with cool water. Just persevere, the results will be as expected. Walnut: A natural method to dye hair by black walnut is one of the most effective ways to achieve the perfect black hair. The shell of this fruit is used to blacken the hair, making the black dye the color of its walnut tend to cling to everything it is attached to. Solid Tea: A dark tea color could makes your hair darker and shinier. First, make a cup of hot tea then let it cool down. Use cool tea to make the hair wet with it. Do this about 10-15 times. Last time, work in about 15 minutes. Then, wash with warm water until the shampoo is clear, no color of tea. Every week doing this once will bring good results. Brown is favourite color when people want to dye hair. It is a simple color, easily to choose clothes suitable with. Material to create this color is one of popular daily drink – coffee. Hair coloring with coffee sounds strange, but this is a safe and effective way to dye your hair, which many girls apply successfully. Coffee helps to change beautiful hair color and it also is a way to smooth hair. Make coffee with a bag or thick coffee powder then filter the water. Dip your hair in this dense water for a few hours, you will notice your hair turning dark brown. Prepare 100 g of carrots, 100 g of beetroot. Beetroot and carrot peeled slices and then add it into the mashed mill. Using filter to get the water portion of the mixture. You wet your hair and then mix this mixture, for one hour and then wash with water and shampoo. Formula can be used once a week. It may take 2-3 weeks for your hair to get the best color. Beetroot – Have you ever think about it? With a mixture of henna tree, green tea and lime juice, you will have dark brown hair that is extremely eye-catching. Add 2 tablespoons of green tea powder in half a liter of boiling water and filter for water. Continue 500 g of henna and lemon juice in a mixture of green tea powder and stir the mixture. After that, let the mixture over 1 to 2 days until the top layer turns dark green. Add one tablespoon of white vinegar to the mixture to keep the dyed color more durable. At this point, you wash your head and dry your hair and dye them like hair dye steps with conventional dyes. Use a hood to cover all of your hair as well as dye for optimal absorption into your hair. Leave it for 2-4 hours and then wash your hair again with cold water and regular shampoo. All of this natural ingredient can bring to you a beautiful color hair without affect to the hair strength. But if you are a business woman, you can’t spend alot of time for doing these steps or you are a model, actress,…who have to change hair color regularly, there are always another method for you. Juts dye your wig or hair extension, tips,… it not have bad affect to your own hair and can using many time, whenever you want. There is so many kind of hair in hair market and we suggest you Vietnamese hair. Vietnam hair is natural black and brown, really smooth and silk. In Vietnamese culture, they really appriciate the hair, take care for it by using natural product. You can contact us to get a best advice or visit Hair Care blog every days. Thank you alot! Sometimes, seemingly harmless habits are the cause of damage to your hair. This article will point out what bad hair habits you should leave immediately. Perhaps, many of the girls only use hair cream for hair root because it is thought that creams will mistake the hair to oil faster when applied at the tip. This misunderstood builds one of bad hair habits when you using lotion. However, the fact is that fragile hair is often vulnerable to damage and it needs special care by the cream. When your hair is wet, it becomes very weak and is tensed more than normal 30%. This makes the hair tend to break more. The perfect solution for this is to use a lightweight texture cream for the ends of the hair. It will help you to protect your hair from damage without worrying about the oiliness. For many busy women, blow-drying is quite a waste of time. 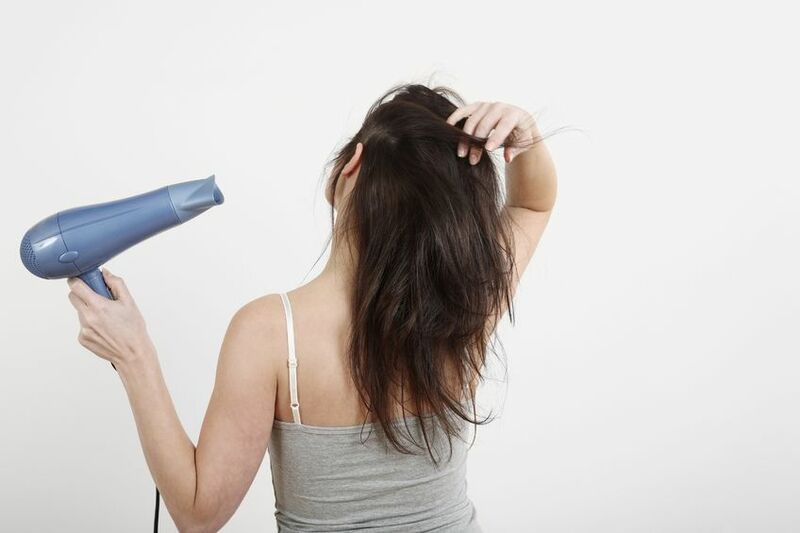 So, they are not afraid to use the highest temperature to dry faster without knowing that high temperatures are one of the causes of hair loss and split ends. To protect her hair, she should only blow the hair with the lowest temperature of the machine. Dry shampoo is considered as a savior for oil hair girls or girl who don’t have much time. However, this convenience product also have bad affect when you using it. Dry powdered shampoo can clog the hair follicles and cause inflammation, leading to dandruff, even acne on the scalp. So, please note that only use dry shampoo when necessary and should alternate with normal shampoo. Each season, your hair needs to change shampoo to make sure it gets the best care. For example, in summer, you need to use shampoo hair beauty to reduce hair loss. And moisturizing shampoo will be a good choice for dry winter weather. Many women always remember to apply sunscreen to face and body when leaving home but forget that the hair should also be protected. When exposed to direct sunlight and heat, the hair is prone to fading and loss of moisture, leading to more dryness. So, do not forget to apply sunscreen to your hair by shielding it carefully and use specialized sunscreen products for your hair. There are 5 bad hair habits that almost woman doesn’t notice when take care for hair. But it is easy to change after you know about it. Don’t let the lack of haircare knowledge make your hair damaged. Visit Vietnam Remy Hair Blog every day to understand more about beauty and health in latest post, update permanently. Vietnam Remy Hair is biggest hair supplier in Vietnam. We supply all kind hair extension, raw hair, closure and frontal,…Our hair is 100% virgin remy hair, collect from Vietnam and Cambodia. Quality assurance up to 2 years. What do you think when you see the word “massage”? Instantly you imagine a deep and relax feeling, don’t you? Science proves that massage is a good method to feel peace inside, reduce muscle tension and enhance your overall sense of emotional and physical well–being. It is a best method to balance your body and soul. But have you ever heard of scalp massage? it is the way to make your hair grow faster and healthier. Scalp massage is simply massage your head and it stimulate hair growth. It increase blood flow to your follicles and that provides nutrients as protein, iron, selenium, biotin,…for your hair to growth. Other function of blood is bringing oxygen to stem cells in scalp, increase activity of them in making hair longer. How to massage your hair? Step 2: Places your fingers on your scalp in a crisscross pattern. This is the start position when you massage. Step3: Apply pressure to the spot you put fingers on. Do this for 2 seconds each spot, after that decrease pressure for few second and do it again. Step 4: Moving your finger backward as your hair line, and do the step number 3 at every spot your finger go through. Step 5: Repeat process until you feel relax, and don’t forget to focus on deep relaxing. The most important purpose of this activity is make you decrease stress and other benefit is making your hair growth faster. Step 6: This is an extra step for you if you have more free time. Apply oil to your hair and scalp. It is good for recovery your hair and give your hair a smooth, shiny look. 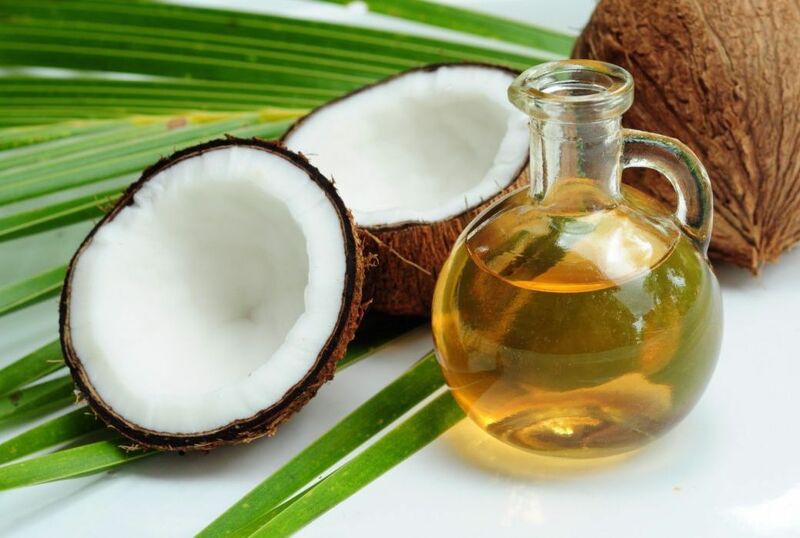 There are so many kind of oil you could use such as: coconut oil, argan oil, castor oil, jojoba oil,…After massage again a few time, you could wash the oil by using shampoo and conditioner. After reading this, you feel it so easy and ask yourself why I dont do it before, right? It is never too late to do anything as long as you find it helpful and make yourself happy. Do you want to get more useful post like this from us? Please visit our Vietnam Remy Hair Blog everyday to get best advice for yourself or visit our website: hair68.com. We also supply best human hair product: hair extension, closure and frontal,….100% virgin remy hair. Why hair care at night is important? You take care for your hair every day but still can’t get perfect? Maybe you miss one important time period in a day, it is night. Just like your skin, hair also need to be taken care all day, even in the evening. When you sleeping, your movement make hair cuticles get roughened up and look bad in the morning. Build for yourself a habit of hair care in the evening will help you have healthy and natural hair. Using a silk pillowcases is best hair care method at night it will be better than traditional cotton pillowcases. If you move, your hair could slide above on the surface of silk. It helps hair less tangle and frizzy. In other way, you also could wrap your hair in a silk scarf before bed. It keep your hair firmly, no matter how much you move. You could tie up you hair as a ponytail. Using a soft hair band so it can’t has physic affect to your hair or create pull around your head. You also need to keep your hair out of your face when sleeping. It keep you avoid annoying tangle hair when you wake up. Wash your hair permanently at night and enjoy it. After that dry your hair in natural way to keep away from heated tools that can damage your hair. If you don’t have too much time for it, you could comb and using slow drier. Don’t forget to braiding your hair loosely, you will have a soft waves in the next morning. Add a little oil to the ends of your hair before sleep could keep moisture for hair and scalp. It prevents problems of dandruff and split hair end. Your hair will be more smooth and shiny. In conclusion, all things you need to take care of your hair at night is silk scarf or silk pillowcase, a little oil and some soft hair band. So easy for everyone and no need a lot of time everyday. It is deserved to spend 10-15 minutes in a day to get a beautiful hair. Above is some method for you to get a healthy hair that using a free time of your day – night. Hope it will helpful with you. Please visit Hair68 Blog everyday to get more advice, tips,…to take care your hair better. If you are considering a faster way to have a good look for a party or event, please visit Vietnam Remy Hair website to get best human remy hair. See you at next post! Hair extension is an important accessories for hair lover. This is why we always emphasize the importance of maintaining hair extensions. Vietnam Remy Hair Company not only provide quality hair extensions but we also give you good advice to extend the life of your hair extensions. Our hair extensions are made from 100% human remy hair, which means they are one of the highest quality hair extensions currently available on the market. So if you already have our hair extension, what you should do and don’t when using it? You should have personal brush for hair extension. It is designed to prevent tangle and could easily brush without making damage to the hair. Brush hair 2-3 times a day, especially before showering or wetting hair. Don’t forget to hold the roots of your hair while brushing. Brush slow and gently, just simple action but it is very important to longer hair useage. Avoid salty and chlorinated water, because they could harm your hair extension as well as you natural hair. If you can’t do it, just clean hair with fresh water after that. Methods that you use to recovery your natural hair could apply the same to hair extension. Such as: apply oils or sprays, leave-in conditioners and hydrating oils,…. Washing hair is a good habit if you could control the frequency. Washing too much is not good for your hair extension. Using dry shampoo to absorb oils to make your hair smell fresh. Never sleep when your hair still wet. Make sure it is completely dry and tie it in a loose ponytail. If you want to make style for you hair extension, don’t use heat tools too much. Absolutly the machanical heat will break your hair. If it is needed, make sure using heat protactant. Beside heat tools, chemical is also harm your hair. You should avoid any prosuct could lighten hair color or create difficult texture. Just with some principles and easy steps, you could protect your hair extension from tangle and damage. Thank you for visit Vietnam Remy Hair Blog today. Hope some suggestion below could helps you. See you next week with Hair Fashion Blog post! 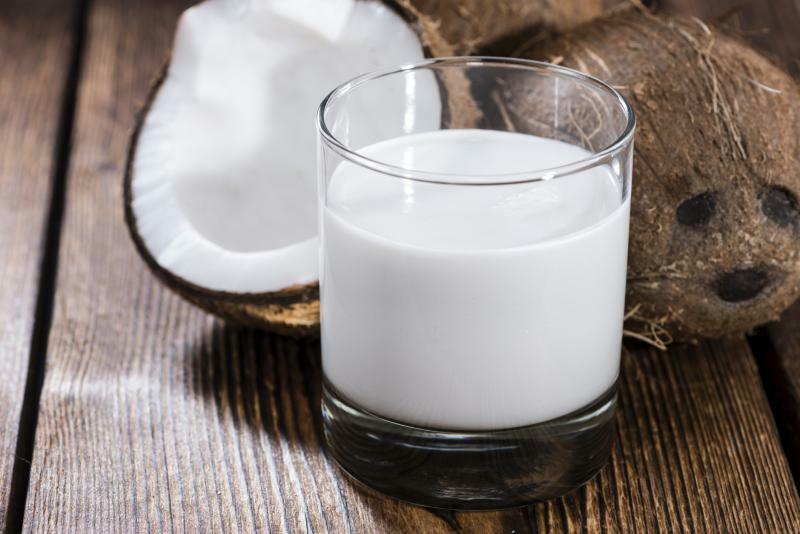 Only a few tablespoons of honey, coconut milk … your tangled, broken and short hair will grow 10cm longer quickly after just one week of care. Girls who has short and broken hair will always have the desire to own a long, smooth and shining hair. Usually you will have to wait 5 months to 1 year of new hair care longer than ten centimeters. However, thanks to the mixture of hair incubation, you could grow hair longer in few time with some easy natural ingredients below. This blend of brewing oil provides nutrients to stimulate hair growth and nourish the shiny, smooth hair. – 2 tablespoons of honey. – 2 – 3 tablespoons of olive oil. Step 1: Pour coconut milk, honey, olive oil into the bowl and mix well. Step 2: Mix the solution in 3 tablets of vitamin E into the mixture and mix again. – Brush this mixture all over the body of the hair, massage hands, gently massage the scalp so that the nutrients in the mixture permeate the scalp. – Incubate hair for 1 hour. – Shampoo with shampoo and conditioner. Just make the hair 3 times a week with this formula, the hair will grow fast and the extra 10cm make you surprised. Eggs are rich in protein to stimulate hair growth faster and longer, while beer contains a large amount of vitamin B necessary to promote hair growth. These two very familiar ingredients will help you quickly regain long, shiny, healthy hair. Rinse well with cool water, then use a mixture of chicken eggs and beer on the hair, incubate for 20 minutes for the permeability properties. Make it 3 times a week with this mixture, hair will shine, reduce fall off and grow faster. 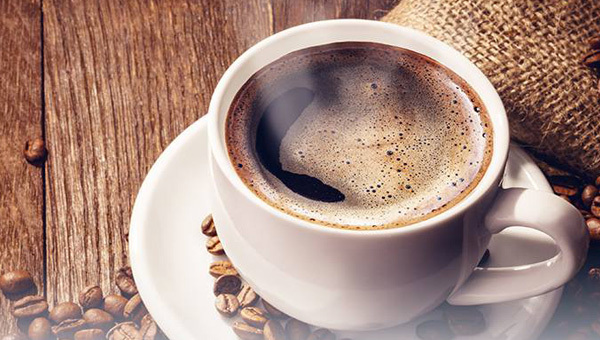 Cafe – a drink too familiar to millions of people. But it is not surprising that the cafe has the effect of speeding up the growth of hair is very clear. Just add a little powder of coffee to the shampoo and massage the scalp everyday so you will soon have long hair. Mix 2 tablespoons of coffee into the shampoo you use often and wash your hair as usual. Do this once a day, just after a week you will notice the length of your hair changes dramatically. Here are some quick ways to make your hair long in a week, which are very easy to do and save money because you can do it at home. Good luck! If you don’t have many time for hair care and you want a change unexpectedly and immediately you can to purchase our vietnamese hair extensions. All hair extensions we sale was made 100% Vietnam Hair , silky, soft, shining with many colors, hairstyles, length, as well as perfect blend with your hair. Ensure you will be satisfied. See you at next haircare blog post! Do you afraid of hair loss after comb every morning? With haircare blog, you can get rid of this anxiety by using extremely effective hair loss treatment with onion – one of the ingredients in your kitchen! Are you suffering from hair loss? And even though you have tried a lot of hair loss products, this situation continues to happen. But today, there is a more effective solution for you. Just look at your kitchen counter, where there is already a remedy for hair loss haunting you lately – it is onion juice! Onion juice stimulates the hair growth process and prevents hair loss extremely effective. In addition, the onion juice is completely benign and safe. Not only available, the onion is a very inexpensive ingredient. It is easy to provide adequate nutrients for your hair without spending your money on expensive spa or hair care products in the market. 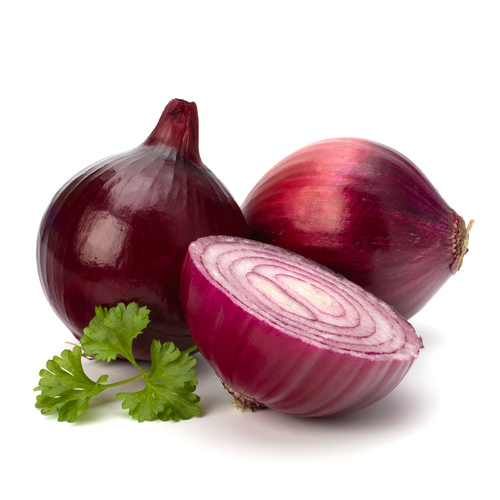 So why onions can prevent hair loss and stimulate the growth of your hair? The reason is because onions contain large amounts of sulfur. When using onion juice to massage the scalp, it will help improve blood circulation. At the same time, this amount of sulfur also promotes the production of collagen so your hair becomes stronger and shinier. 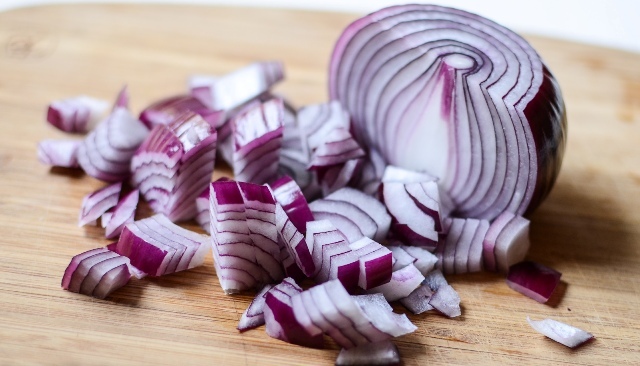 In particular, onions have antimicrobial properties that prevent signs of inflammation, infection, and can be used to treat fungal, dandruff and acne on the scalp. Moreover, onion juice is suitable for both oily and dry scalp. What a wonderful remedy for your hair! How to get onion juice? First, rinse the onion with water then chop into small pieces. Finally, put it all into a fruit juicer or blender to squeeze the juice out of a clean cup ready for use. How to use onion care hair? Use onion juice directly to massage your hair and scalp. Incubate onion juice on the hair and scalp for about 30 minutes, then rinse with water and a mild shampoo. Do it this 3 times per week, your hair will become strong and shiny. Add 1 teaspoon of honey to the onion juice and use every day. Or can use onion juice with honey to massage on scalp and hair and incubated for 30 minutes. 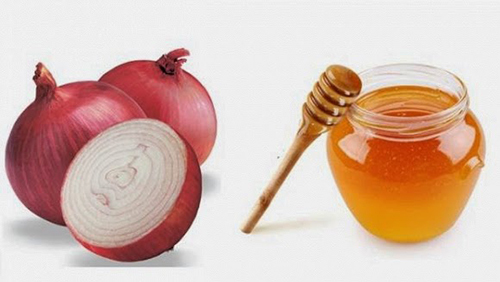 Whether you drink or massage, the effect of onion and honey also work to help healthy scalp and glossy hair. The combination of onion juice, coconut oil and olive oil can also help keep your hair radiant. Mix 3 tablespoons of onion juice with 1 teaspoon of coconut oil and 1 tablespoon of olive oil together to form a mixture. Using them to massage the scalp three times a week can help you effectively deal with dry scalp, itchy and split hair problems. This is for those who do not like onion smell. At night, before going to bed, you put some onion in a rum and dip it overnight. The next morning, when waking up, use that rum to massage your hair and rinse with water. Doing this three times a week also works to stimulate positive blood vessels under the scalp. At the same time it also clears plaque on the hair. They will help keep the scalp healthy and promote the hair growth process is more convenient. Thank for visitting our blog today. Vietnam Remy Hair always support you to get natural beauty! Don’t forget to send us feedback after trying above method! Good luck! As we all know, natural shampoo are great for hair’s heath. It prevents hair damages and support hair restoration. 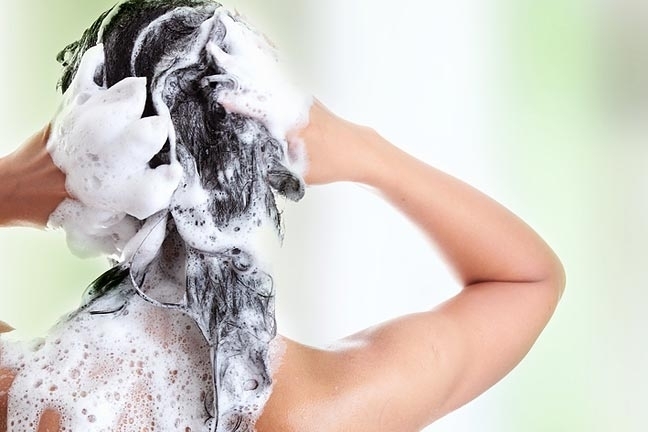 Many people have replaced their chemical hair product with homemade shampoo instead. If you want your hair always beautiful, why don’t follow these instruction below. I am sure you will find yourself lucky after reading this article. What is natural shampoo advantage? The most important principle of hair care is fully providing nutrition for hair to recovery and develop itself. Natural shampoo has its own natural properties to do it and doesn’t affect to hair health. We suggest you some hair’s nutrients that you could easy make at home. Choose the most suitable one for youself! The first material everyone think about when they mention natural shampoo is lemon juice. Because it is very easy to looking for and has cheap price. You could buy lemon at any market or vegetable store and make juice yourself. Lemon juice has natural exfoliating properties, anti-microbial, anti-fungal naturally. Citric acid in lemon is a natural cleanser that will reduce excess oil without affecting the sebaceous glands. 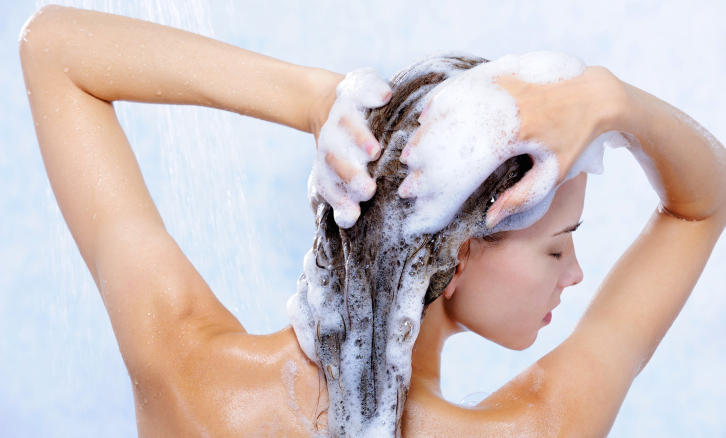 This is the biggest difference between natural shampoo with chemical products. Therefore, it will really useful if you use it to treat dandruff. Usage of lemon juice regularly will improve dandruff problems and help your hair grow naturally. 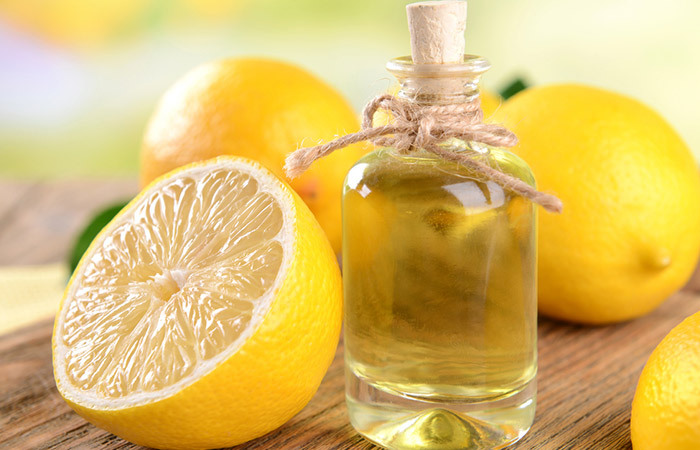 Usage: There are two ways to use lemon juice to care for your hair. You could add it directly into your shampoo (one teaspoon per one washing time). Or before washing, soak lemon juice on your hair and scalp, then massage your head for a few minutes. After that, washing hair again with shampoo. Continue do it once or twice a week until your hair become strong as original. Pure honey is same as lemon juice, which has antibacterial and antifungal properties. It is a natural antioxidant that could protects the skin from bad bacteria. That why honey is number 2 in this natural shampoo list. Furthermore, honey also softens the hair, improve the health of the hair follicles that responsible for hair growth. So if you want long, silky hair and shining hair, use honey more frequently. Usage: Put 1/2 teaspoon of organic honey into 2 tablespoons of light shampoo. Rosemary or lavender oil is known for its flavor and is very useful in dandruff problems as well as dry and scaly heads. Nourishing oil will stimulate brown hair, hair will grow longer and healthier. Usage: Add 3-4 drops of rosemary oil to 2 tablespoons of shampoo. Rose water is used to stabilize hair’s pH balance, assist repairing hair’s damaged porosity. It is an anti-inflammatory that protect your hair from harmful bacteria. Some users have felt that they can push the hair grow faster even though there is no proven by science. It is thought to have properties that stimulate the growth of hair. Usage: Add 1 teaspoon of rose water to 2 tablespoons of shampoo or use it to dilute and then use. For mixed methods, combine 5 tablespoons rose water with 1/2 to 2 tablespoons of shampoo and use this to cleanse your hair as usual. Really easy, isn’t it? Follow Vietnam Remy Hair BLog for more hair care instructions! Vietnam Remy Hair Co.,ltd is special in supplying hair extension worldwide. All hair extensions is 100% Vietnam Hair , silky, soft, shining with many colors, hairstyles, length, as well as perfect blend with your hair. Ensure you will be satisfied. Using available materials such as lemon, black tea, baking soda … can overcome the consequences of oily hair after parties. After parties, eating too much food with fat and overnight meals make our body accumulating excess oil. Hair is a place where you can easily see through oily hair. It is not difficult to overcome this situation, you can use available materials at your home to have a silk and smooth hair. Lemon juice is a readily available material in the cupboard. The amount of acid in lemon juice can clean dust layer on the hair. Moreover, lemon juice also balances PH to help hair moisture and silk. Select 2 fresh lemons, squeeze seeds and get lemon juice to the bowl. Add 3 tablespoons of honey in a bowl and mix with lemon juice. After the first wash, use the mixture to massage the scalp and massage on hair. Finally wash hair with clean water and blot dry with a soft cloth. Black tea contains tannic acid which condenses excess oil from the hair and scalp. 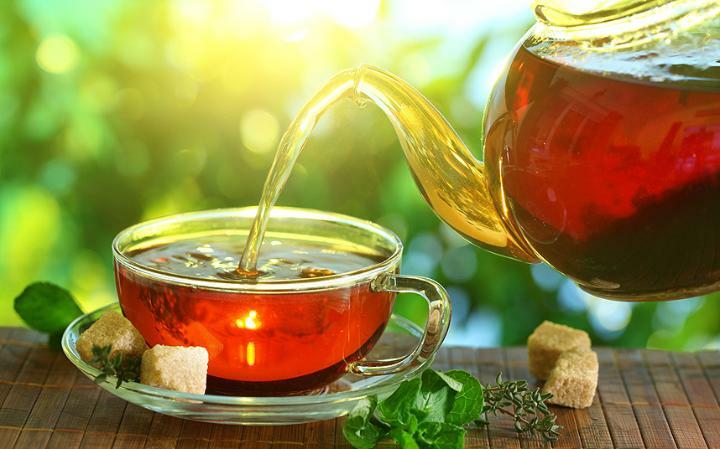 Therefore, applying black tea prevents excessive oil production process, bringing dry hair. Soak a black tea bag in hot water for 10 minutes. Wait until black tea water warm enough, remove residue from the cup of tea. After washing hair with shampoo, use black tea to massage your hair and relax for 15 minutes, then rinse with cool water. Apple cider vinegar is rich in acetic acid composition, which can balance PH and control the production of excess oil on the scalp and hair. Therefore, the presence of apple cider vinegar will prevent the excessive activity of excess oil on your hair. Pour 3 tablespoons of apple cider vinegar in a glass of clean water and mix well, then put it in the spray bottle. After washing hair with shampoo, use the spray bottle to spray a mixture of apple cider vinegar on the hair and then wait a few minutes and rinse with cool water. Baking soda is a common ingredient in hair care products for excess oil. Baking soda is alkaline which can help the hair and scalp to balance pH balance and control oil effectively. Mix 3 tablespoons of baking soda with one cup of water to form a slurry mixture. Wet your hair, then apply and massage the baking soda mixture on the hair for a few minutes and then rinse with water. Finally, wash your hair as usual to make hair clean and healthy. Aloe vera gel contains minerals along with vitamins, enzymes nourishing hair roots and controlling oil under the scalp effectively. Therefore, applying aloe vera gel not only prevents excessive oil secretion, but also helps hair smooth. Mix 1 tablespoon of aloe vera gel with 1 teaspoon of honey and then place in a blender to make a puree. After washing thoroughly with shampoo, apply aloe vera gel mixture on the hair for a few minutes and then rinse off with cool water. Regarding to excessive activity of excess oil on the skin as well as hair, it cannot be mentioned to clay powders because its super-absorbing features to excess oil and PH balance. Besides, effects of the ingredients in clay also helps blood vessels under the skin operate more actively so that hair can grow better. Pour 3 tablespoons of clay powders into a bowl and add an appropriate amount of water to make a puree mixture. Wet your hair, then apply clay powder mixture to your hair and incubate for 15 minutes. Finally, wash hair with warm water. If you encounter problems with oily hair, choose a suitable measure and follow the above instructions 3 times a week.